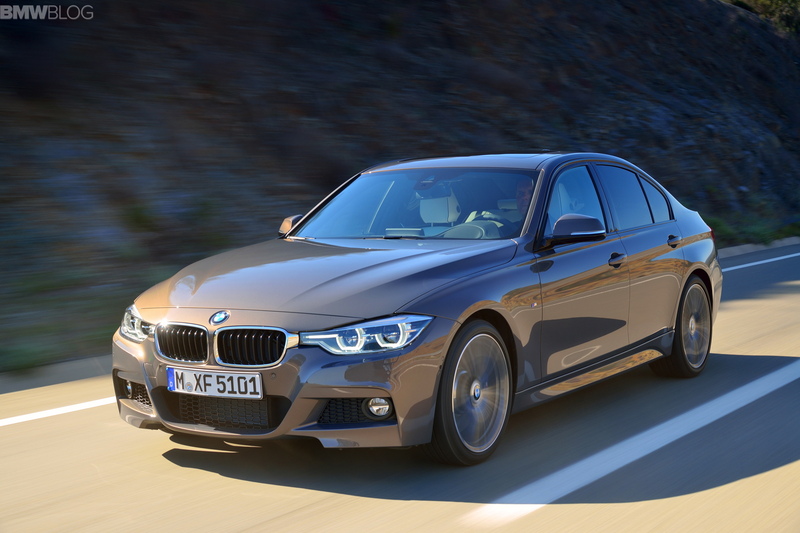 As with all BMWs at around the three year mark, it’s time for the F30 3 Series to get BMW’s LCI (Life Cycle Impulse) treatment. 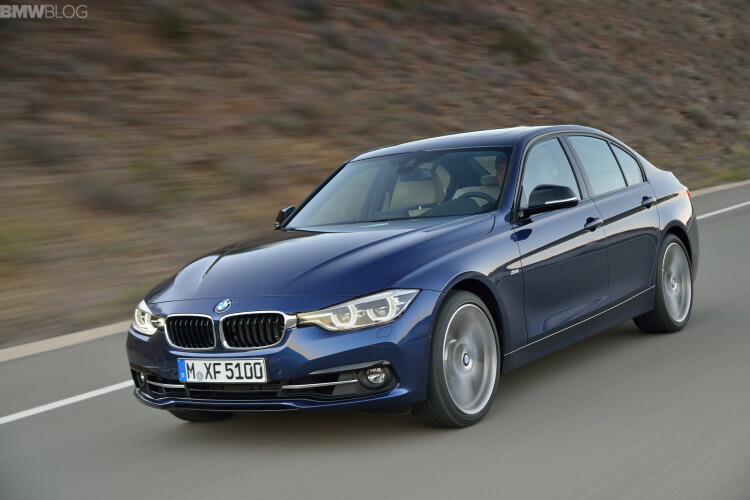 The current F30 is actually quite a good looking car. However, it’s been met with some criticism for being the first BMW to merge its headlights with its kidney grilles and for being bigger than its predecessor. The size argument is a bit unfair, as just about every new iteration of any car seems to be growing larger nowadays. 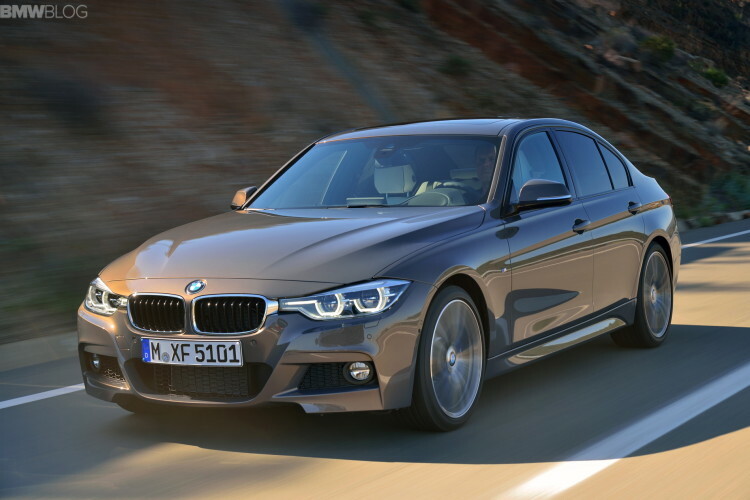 The headlight thing is a bit of a different story, as the design was very fresh, when debuted on the F30, so it’s going to be met with some detractors. That’s understandable. But like the E90 before it, whose pre-refresh kidney grilles had strange silver mustaches, criticisms were vanquished by a good LCI. The F30 is going to be getting its LCI treatment this year and should solve some of the problems that many people had with the current model. 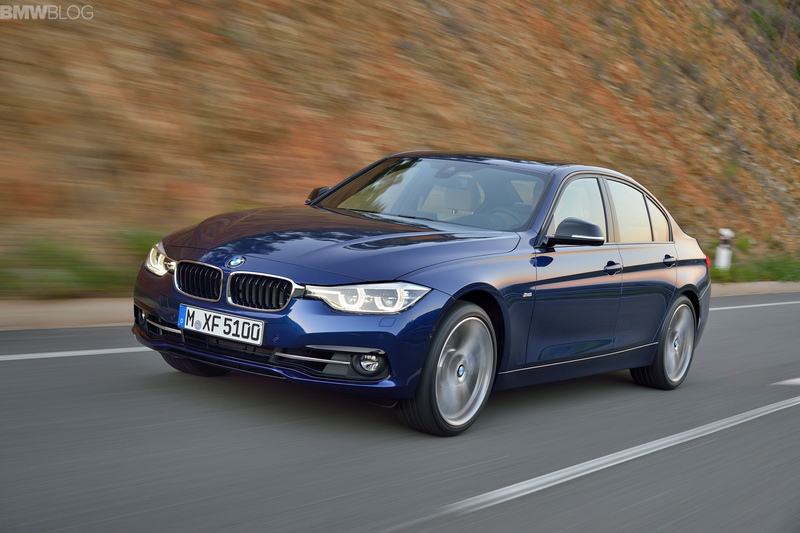 The biggest criticism for the F30 has been its headlights, especially how they blend with the grilles. The LCI doesn’t get rid of the blending of the headlights, though it does change the actual lights themselves to give the car a much more sophisticated look. The headlights now feature LED indicator “eyebrows” above them to give the car a more concentrated look. Overall, they are an improvement over the previous model’s. Especially the new optional full LED headlights, which give the classic BMW headlight design a new and exciting look, while still keeping with the traditional two-circle design. 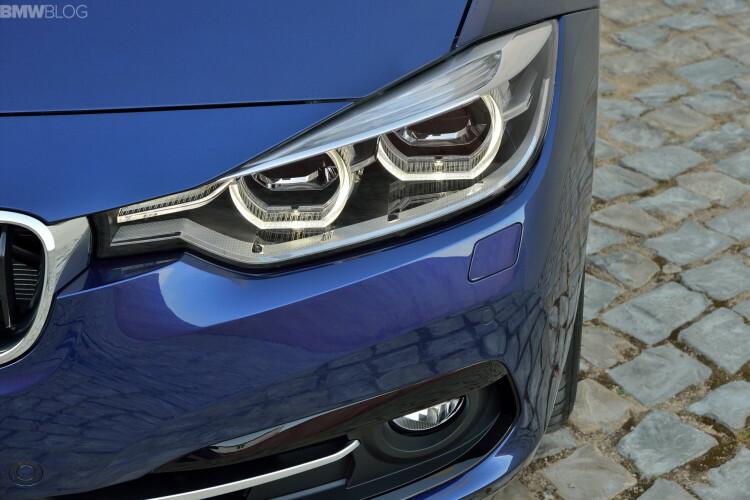 The full LED headlights are leveled off at both the top and bottom and also feature and LED bar connecting them to the kidney grille. This gives the front a very aggressive and sporting design. The front fascia is also as bit different, featuring broader side air intakes giving the car a wider, more aggressive appearance. The central air intake has also been changed to allow the ACC (Active Cruise Control) radar sensor to be better hidden. The taillights are new as well and feature a full LED treatment as standard. 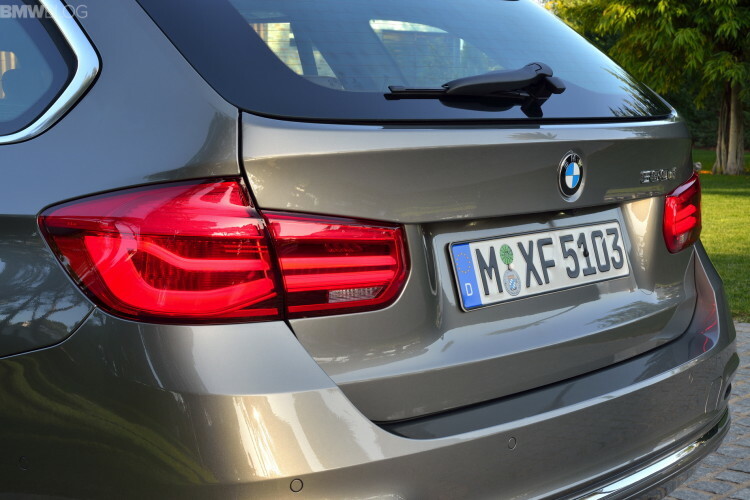 The changes are subtle but effective, as the light bars inside of them have been changed to give the classic BMW “L” shaped design a curvier look. The indicators are also LED, and they now stretch the length of the taillight. This allows the indicators to be better seen and therefore safer and better looking. 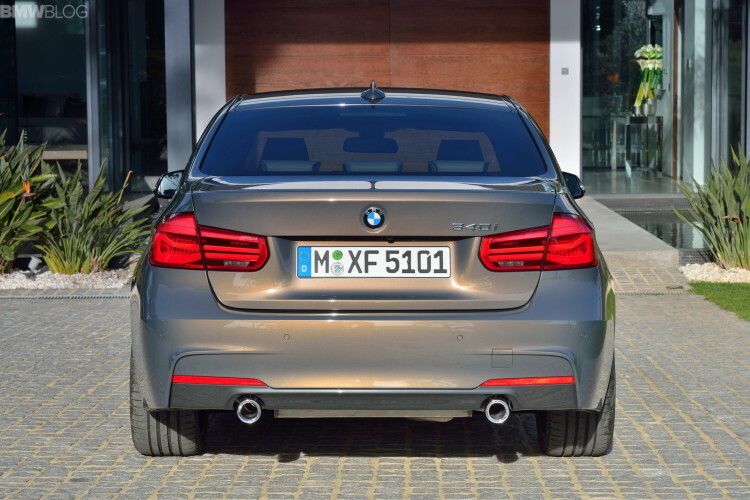 340i models will feature dual exhaust with one exhaust pipe on both the left and right sides, while 320i and 320d models will feature twin exhaust pipes on the left side. Overall, the rear end looks a bit more sophisticated and exciting than that of the original model. The interior has been updated as well, though more for function than from. 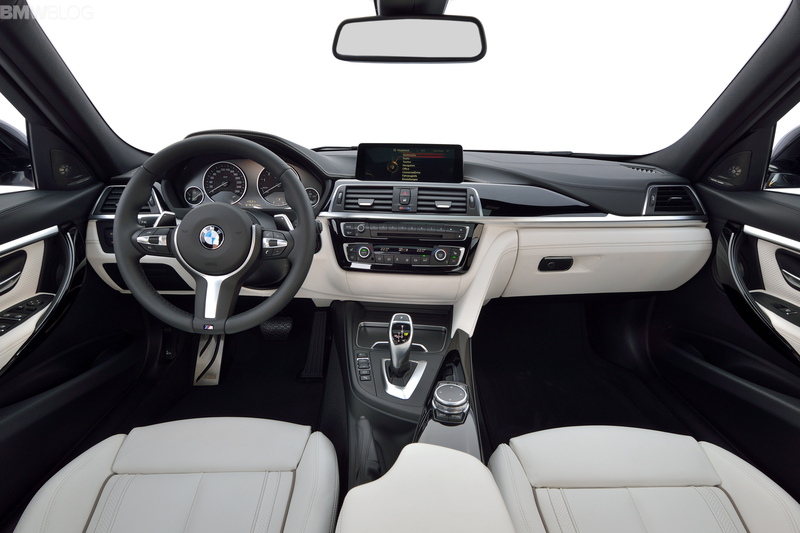 BMW has worked on the, already excellent, ergonomics of the center stack and seat adjusters. Chrome accents have now been fitted to most of the controls, including center stack buttons, seat adjusters and window controls. There is a sliding door to cover the cupholders, when not in use, there is also a new practical storage are just ahead of them. The interior also gains a couple of upgrades, depending on which Line is chosen. The standard car now has the option of Corner Anthracite cloth upholstery with accent color as well as the Oyster color option for both cloth/leather and full leather seats. 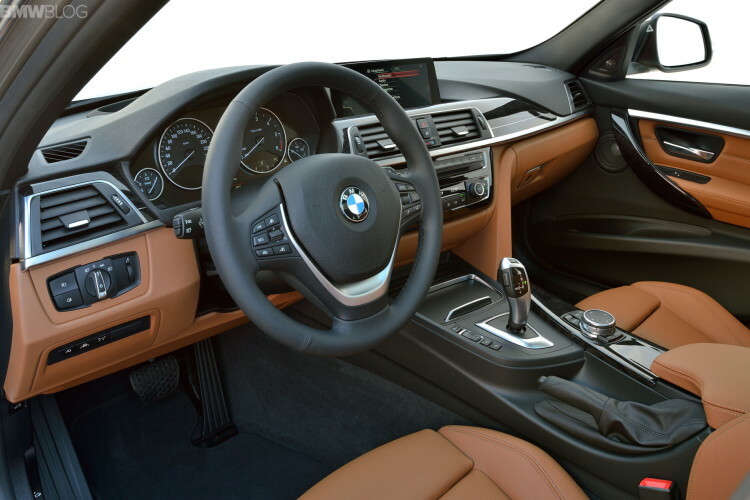 Sport, M Sport and Luxury lines are now available with an Ash Black wood panel trim option. Sport and Luxury lines will also offer new leather upholstery variants with accents in Veneto Beige and Saddle Brown. The M Sport line, the sportiest line, will feature an M Steering wheel, M Sport seats, an M Aerodynamic package, an anthracite colored headliner and an additional Sport + mode. 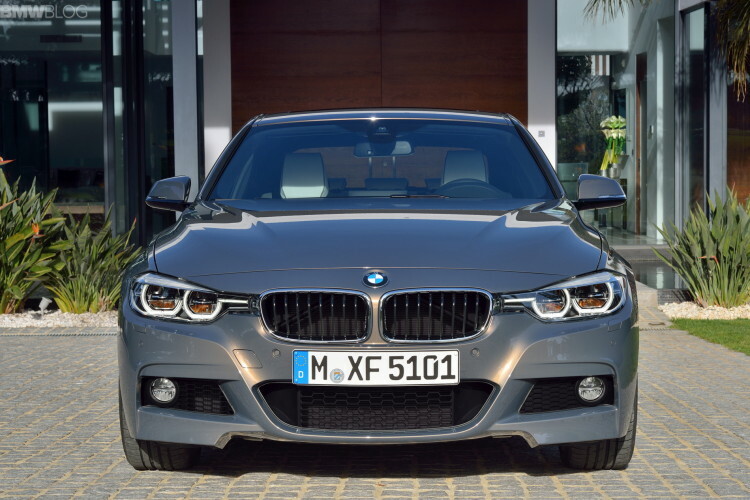 All 3 Series’ will be available with a total of 16 exterior colors, with new additions, such as Mediterranean Blue metallic, Platinum Silver metallic and Jatoba metallic, in addition to the Individual colour Champagne Quartz metallic. The M Sport package will also come with the Estoril Blue metallic color as well. In terms of looks, both inside and out, the LCI for the F30 3 Series give it more buttoned down, tighter, more sophisticated look. Just like the LCI for the E90 generation 3 Series, the changes are subtle but enough to make you not want to look back at the old car. The full LED headlights and taillights are especially good looking and add a more expensive feel to the car. Especially the full optional full LED headlights, which look fantastic. Overall, the LCI is an improvement over an already good looking car. It’s going to be fun to get one in the flesh and compare it to a pre-LCI model. Jaguar XE Pricing Revealed. How Does It Stand Against BMW 3 Series?